View all the transactions, i.e. insert, update, delete etc. 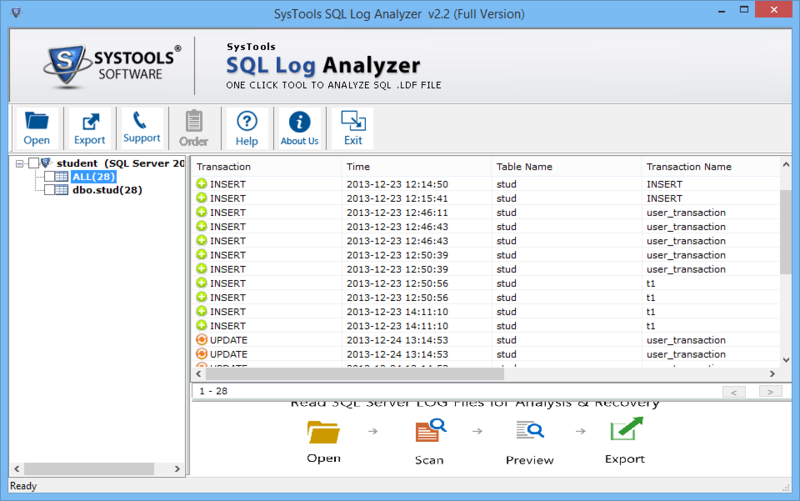 You can download the FREE SQL Server log file viewer for better understanding of the tool. The freeware version of the software allows you to preview transaction log with both Online/Offline options then purchase license version at reasonable price. 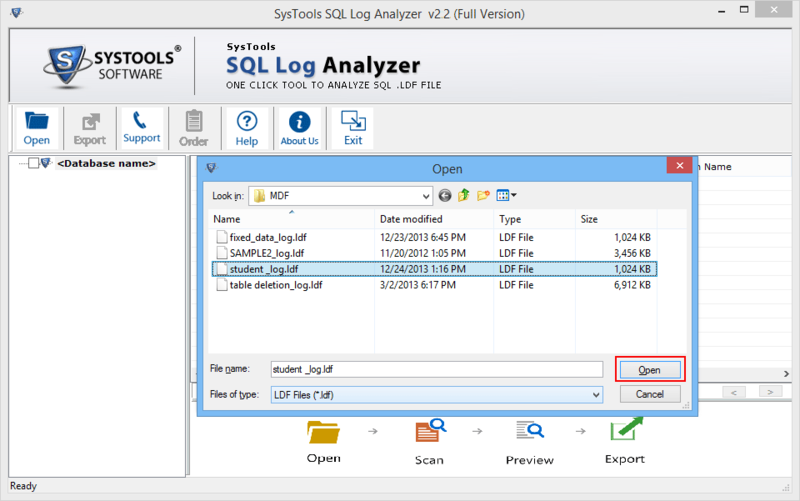 SQL log file viewer is designed by experts which help you to analyze LDF file. 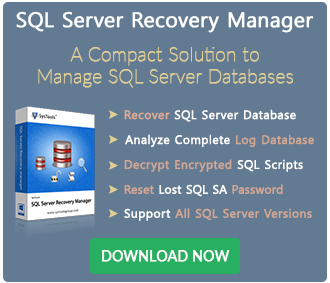 The software can also recovers corrupt SQL Server database using transaction log (LDF) file and gives you the option to export recovered SQL database file into SQL Server database, SQL Server compatible script or as CSV file format. 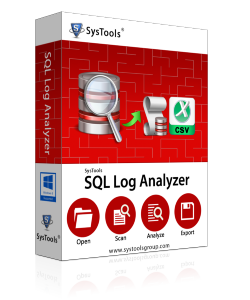 Analyze and view SQL log file transactions details like transactions, tables names, query, names and so on with the help of this advanced utility. SQL log analysis tool read SQL Server LDF file and also allow you to repair corrupt MDF file using the transaction log file. SQL LDF reader scans log file and allows you to view SQL Server LDF file transactions like insert, update, delete, table name, query etc. The software allow users to export recovered SQL file into SQL Server database, SQL Server compatible script or as CSV file format. SQL Server log file viewer allows you to export selected table to the desired location by checking or un-checking the tables as per your requirement. The software supports all the latest versions of SQL Server, including 2017, 2016, 2014, 2012 & below versions and compatible with all Windows Operating System versions. SQL log reader tool can be used by forensic expert for the LDF forensic purpose without connecting to SQL Server. Can I analyze SQL Server transaction log of SQL Server 2016 with this tool? Yes, SQL LDF file reader is compatible with SQL Server 2017, 2016, 2014, 2012, 2008 and 2005 LDF file. Is SQL Server environment necessary to read/analyze LDF file? SQL Server environment is not required to analyze SQL Server log file, but if you want to export data into SQL Server database then you need live environment. Is there any restriction on the size of LDF and MDF file? No, you can load LDF and MDF File of any size, there is no such restriction on SQL LDF viewer tool. 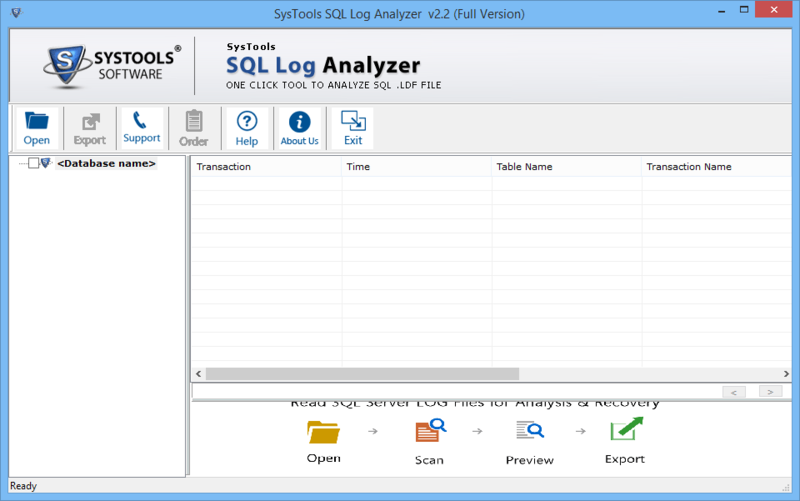 Can I use SQL Log file viewer for forensic purpose? Yes, you can use this software for forensic purpose to read SQL Server database transaction log file. Does MDF file is required to view the database? Yes, associated MDF file is must to view SQL Server transaction log file. 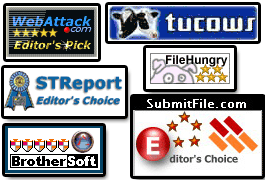 Thanks to the tool for its efficiency and performance, it also helps in forensic investigation of SQL LDF file. 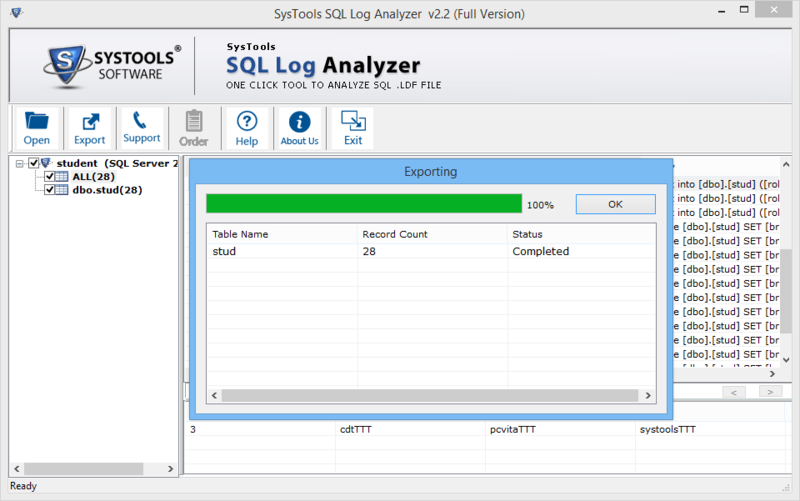 SQL log analysis tool is an awesome utility it helped me to view SQL Server Log file transactions and eliminate the issue.